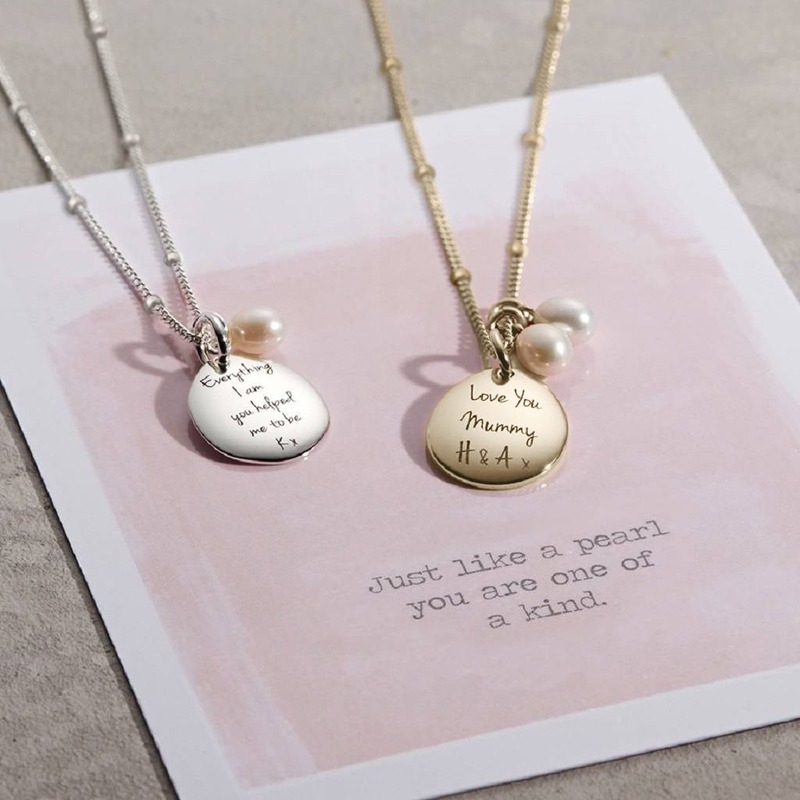 A tactile and wearable pendant personalised with your special words and paired with beautiful freshwater charms to represent each of her children. Wear alone or layer with tonal styles. 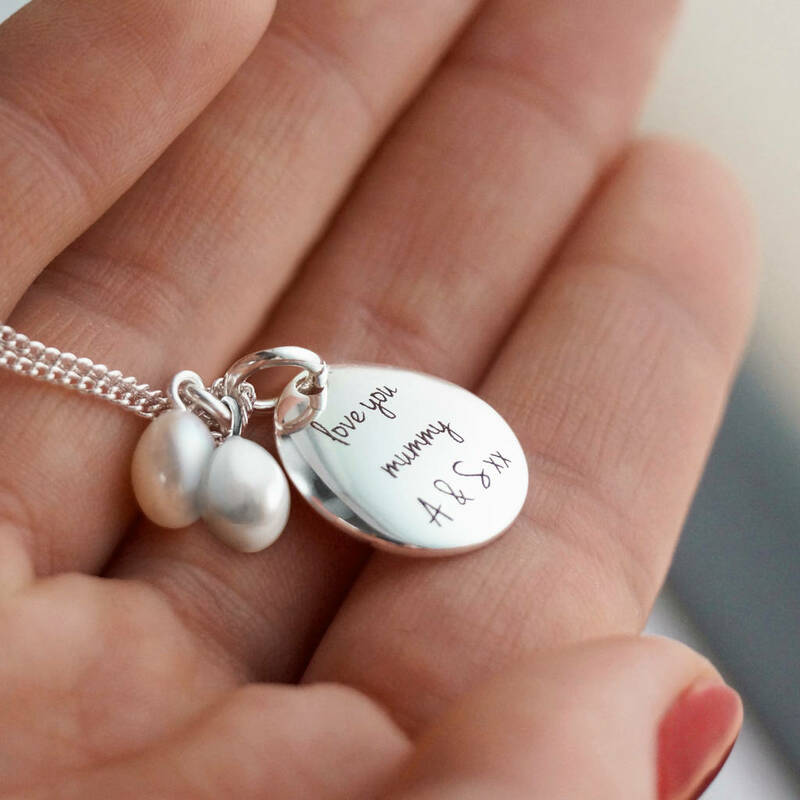 Add special words, names or a dates – create a lasting memento with this pretty and tactile necklace. 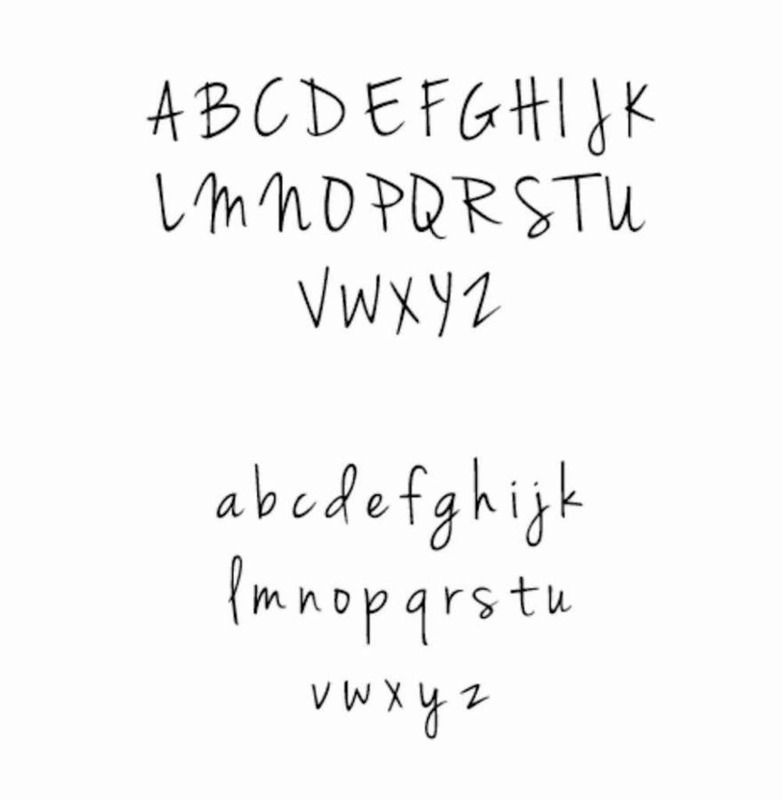 Charms can be engraved with up to 38 characters including spaces, your words will be spaced by us to fit the charm perfectly. Add pearls to represent the children in her life. Presented in a pink jewellery pouch and box. Do you love the feeling of receiving something special? We do. That’s why we create gifts you love to give, moments you love to share. Silver plated pendant and silver plated satellite chain, freshwater pearls. We hope you enjoy wearing your new jewellery. Please keep your item dry at all times and away from perfume and body creams in order to preserve any plating and to ensure your piece lives a long and beautiful life.